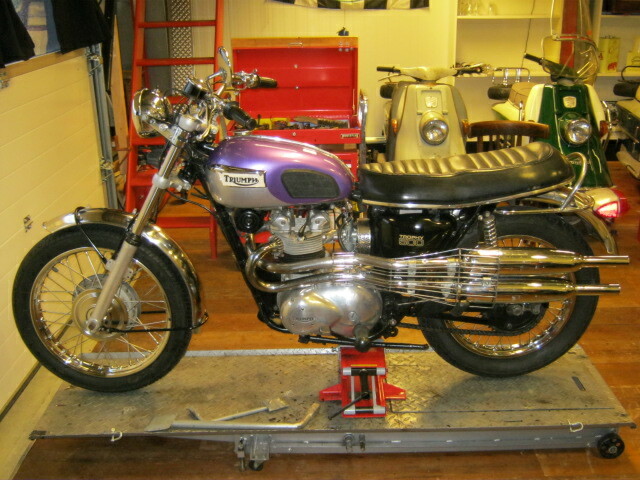 Nice tough Triumph T100C, wich runs and rides well. 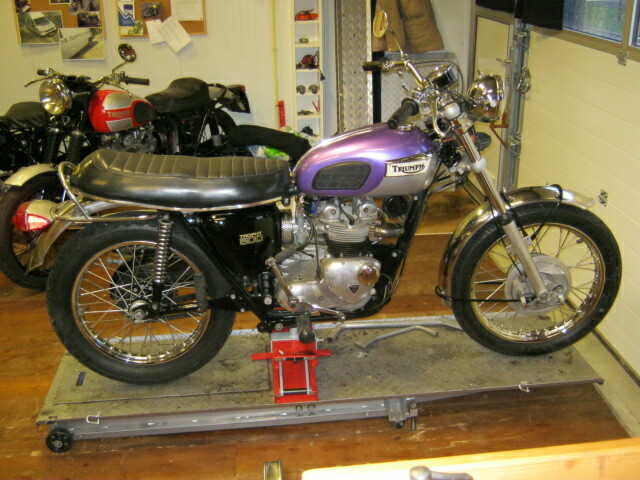 Last owner has maintained the bike well and perfected it in some details. Is with the original, rare, exhaust protection, frontfork is not original, but at my opinion made specially for this type. Has matching nrs. and a Dutch registration.